Are you 16 or older and look for a great summer job or challenging career? 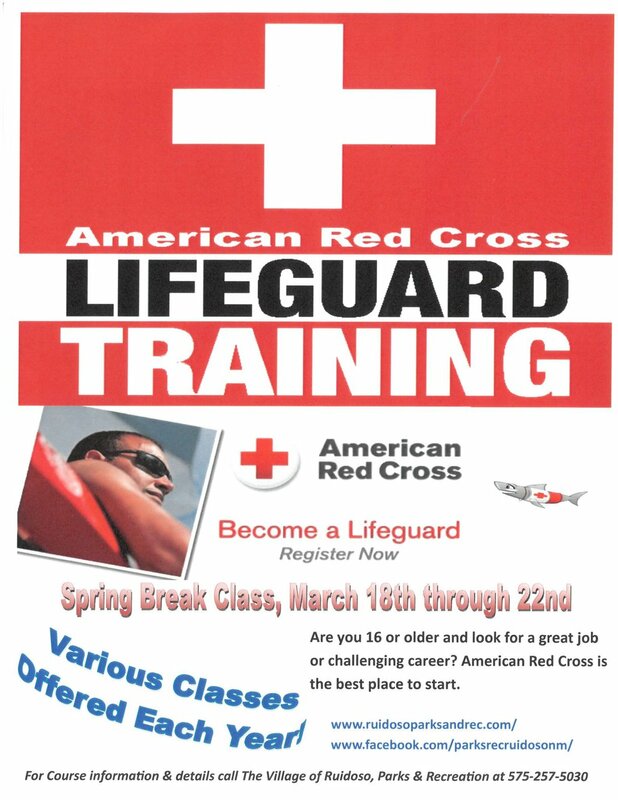 American Red Cross and the Village of Ruidoso is the best place to start. March 18 - 22, 2019, 8:30 AM to 4:30 PM. All classes must be attended.